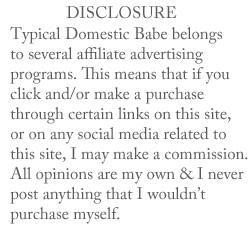 Last week, I booked a short little getaway for Adam & I. We're headed to Mexico next month, and already I've been having major cravings for all things Mexican. You name it, I'm craving it; tacos, fajitas, chips + salsa, huevos rancheros, guacamole, and especially margaritas! Margaritas seem to embody the perfect weekend cocktail. 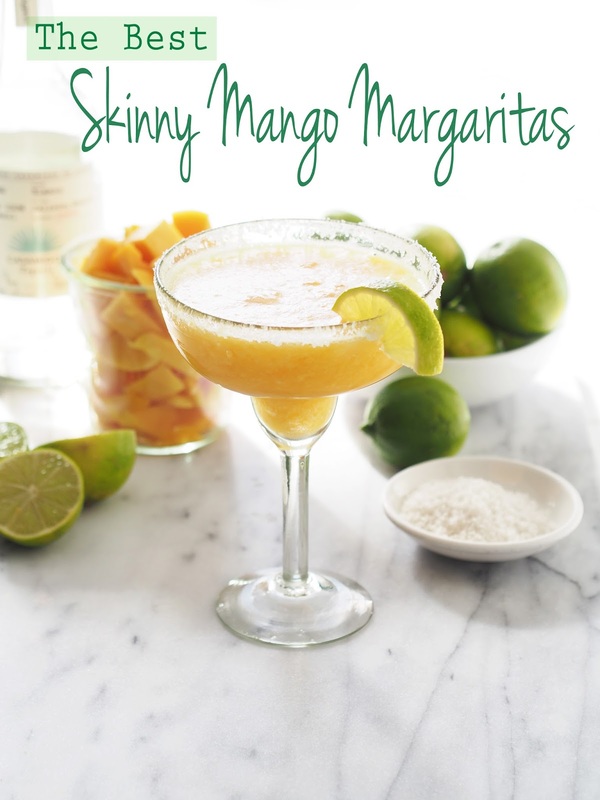 So come Friday, sit back, kick your feet up and beat the summer heat with this refreshing skinny marg. Salud! 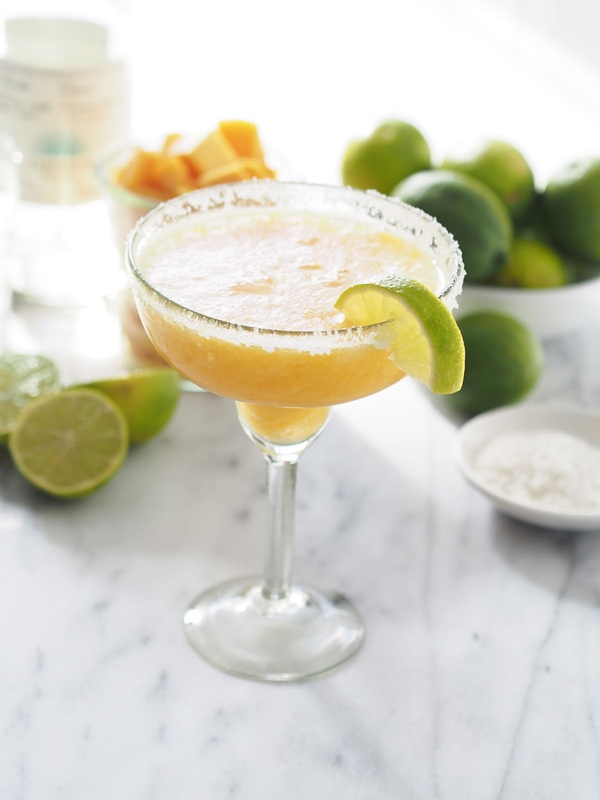 Place mango, lime juice, tequila, orange liquer, agave, and ice into a blender. Puree until until smooth. Place salt onto a small plate. 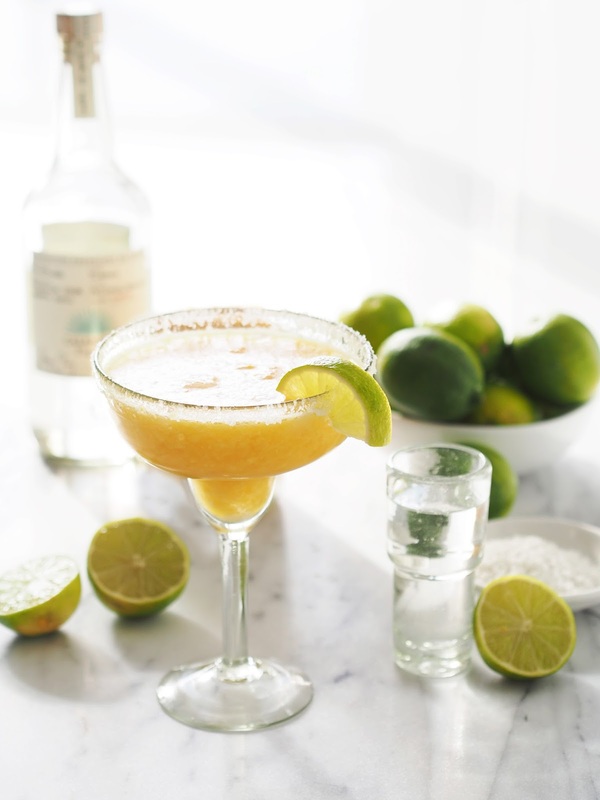 Using a sliced lime, moisten the rim of your glass; dip the rim of the glass into the salt and twist to coat the rim. Pour the margarita mix into your glass and garnish with a sliced lime. This recipe serves around 4 margaritas. How fantastic - a trip to Mexico!!! I always crave margaritas and the for some reason never get the frozen ones!! Need to change that! Well at least I know what I'll be drinking this weekend!